You will deal with a combination of screening, behavioral and technical questions in your interview. 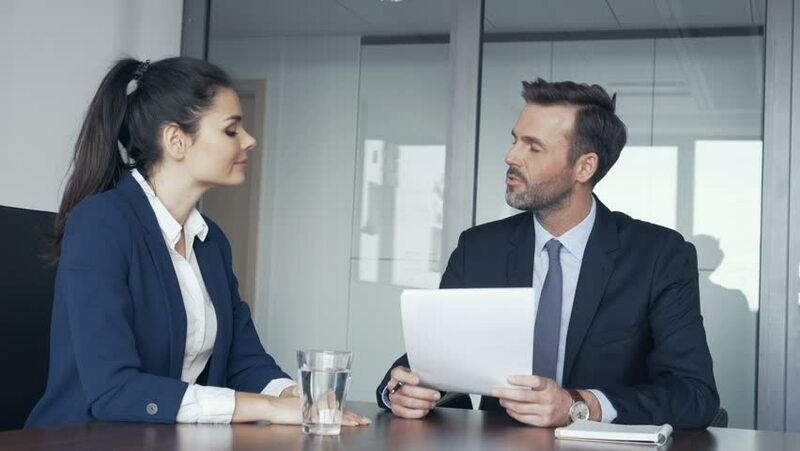 What is more, the interviewers may ask you to solve a couple of simple accounting tasks (think VAT calculation, recording some basic transactions, or reading a cash-flow statement, etc). Your answers to the questions help the HR managers to asses your readiness for the job, as well as your communication skills, motivation, and attitude to work. Let’s have a look at some questions they may ask you. Question: What was the toughest accounting task you had to solve in your career? Question: What do you consider the most important skills of a good accountant? Question: How do you ensure you will make no mistakes in your work? Question: What software packages for accountants are you familiar with? Question: When you hear an expression creative accounting, what do you imagine? People with real working experience will always remember some tough tasks they were confronted with in the past, accounting tasks they struggled to address, or did fail to solve. This questions helps the interviewers to distinguish the talkers (people who can only talk about doing a job) from doers (people who can really do the job). You should speak about a problem which you eventually managed to solve. Tell us how you progressed, step by step, and emphasize the lessons you learned while trying to solve the difficult task. The most important thing is to demonstrate your attitude to problems, and the fact that you consider each problem an opportunity to learn something, and to become a better accountant. If this is your first job application, however, you can talk about a difficult exam from school, or a practical exercise you struggled to solve in your accounting lessons. Your attitude matters more than the situation you narrate. Show the interviewers that you are a human being, that you struggle sometimes, and that you can admit your struggles, but at the same time always try to find the way out, to find the solution. A good accountant should definitely pay attention to details, they should have good math skills, they should think analytically, and one step ahead. Needles to say, they should understand their profession, and they should keep their knowledge of law and accounting standards up to date. You can also mention responsibility, trying to avoid mistakes in work, or an ability to explain a difficult financial terminology in a simple way (very useful skill when you talk to people from other departments of the company). If you do not have one of these skills right now, you can tell the interviewers that you try to improve on it, that you do all you can to become a better accountant. Alternatively you can focus on results in your answer, saying that a good accountant is simply someone who helps their employer to reduce costs (tax expenses), and to improve profits of the company. Most interviewers will give you a lot of points for such an answer. People make mistakes. And accountants are also people (one day the robots will do this job, but luckily the day has not arrived yet 🙂). Nevertheless, you should be aware of the fact that each accounting mistake can prove extremely costly for your employer, and you should try to demonstrate that you do your very best to avoid making mistakes in your work. There are many ways to avoid mistakes. For example, you can double check each record, you can use both software application and “pen and paper method” to verify your records, or you can even consult the important decisions with other members of the financial department, or even with people from outside of the company (experts you can reach on online forums, your peers from school and your former teachers, other experts you may know (or will know later in your career). Clever accountants work with software applications, becasue they are more accurate, faster and simply more reliable than traditional “pen and paper” method. Therefore it is good to suggest that you have some experience with accounting software. You should pick a well known and country specific application, for example the Canadian Quickbooks–should you apply for an accounting job in Canada. In some cases it is possible to try the trial version of the software. If you still have some time before your interview, you can download the trial version, check the user interface, enter information of a fictional company, and test the functionality of the software. And if you have no experience and no time left, you can simply say that your computer skills stand out, and that you will quickly learn to work with any software package. Some of us imagine illegal practices. Some other accountants imagine unorthodox methods of reducing tax expenses, and saving money for their clients. When we talk about the job interview, the right answer is definitely that for you, creative accounting means saving money for your clients, applying unorthodox but legal methods of bookkeeping, in order to reduce expenses, and incense profits of the business. If you can, elaborate on your answer with an example of an application of creative accounting from your last job. And if you apply for your very first accounting position, you can look for these methods online, and come up with some ideas on cost reduction, telling them what you would do to help your employer to save money (interviewers will love you for such an answer). If I want to see if someone can cook a good meal, I give them some ingredients, and leave them alone in the kitchen for forty five minutes. Afterwards I will see what they have prepared, and I will taste the food. Nothing can tell more about your skills (in any field) than a practical test of these skills. Many companies have not understood this principle yet, and they will not ask you to solve any practical exercises in your interview. Then we have big corporations, companies that offer excellent training programs, and they often won’t give you a single technical question in your accounting interview! The exercise will not be very difficult (unless you apply for a role of a consultant). They can ask you to work with their accounting software, do some cash flow analysis, prepare a balance sheet, or check the accuracy of a balance sheet, do some VAT calculations, gross and net paycheck calculation, etc). 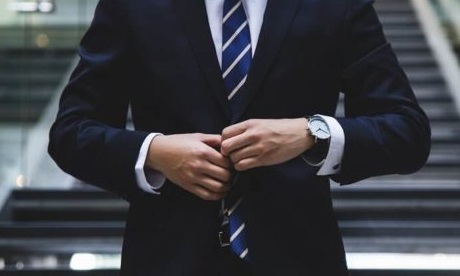 You should definitely polish your knowledge of these things before you interview for a job, especially if it goes about a position in a middle-sized business, or if a recruiter from a specialized financial recruitment agency will lead an interview with you. Position of an accountant belongs to popular jobs, in nearly every country of the world. You will compete with other people in your interview, and just the best person will sign a job contract at the end of the hiring process. The more time you spend preparing for your interview, the better your chances of succeeding will be. You should try to prepare for screening, behavioral, and technical questions, and polish your knowledge of accounting standards, and of basic tasks accountants do in their jobs. We put together a short selection of materials and websites that should help you with your preparation. Enjoy! Accounting Interview Guide (external resource) -45 pages long eBook, brilliant interview answers, technical questions for accountants, short case studies, description of typical interview process for accountants, winning interview strategies, and much more. From Caren Mayers. Leo Isaac website (bookkeeping exercises, external resource, no affiliation) – Great practical exercises, easy to print and complete, with answers to the exercises. An excellent website to visit before your interview, to polish the practical knowledge of accounting. The author is from Australia, but we believe that you can use the exercises to prepare for your accounting interview in any country. 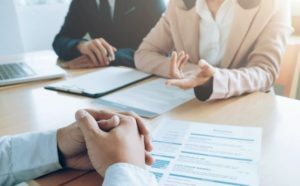 Behavioral interview questions (our article) – Inquiring about your past, we try to understand how you would act in your new job, while facing various challenges and tasks. 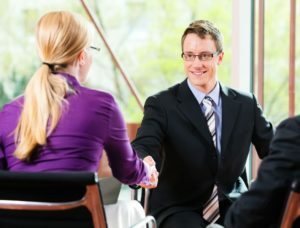 You will for sure get some behavioral questions in your interview, and actually if you apply for a job in a big corporation, the behavioral questions will form the basis of their interview template. Learn how to answer the most common questions.